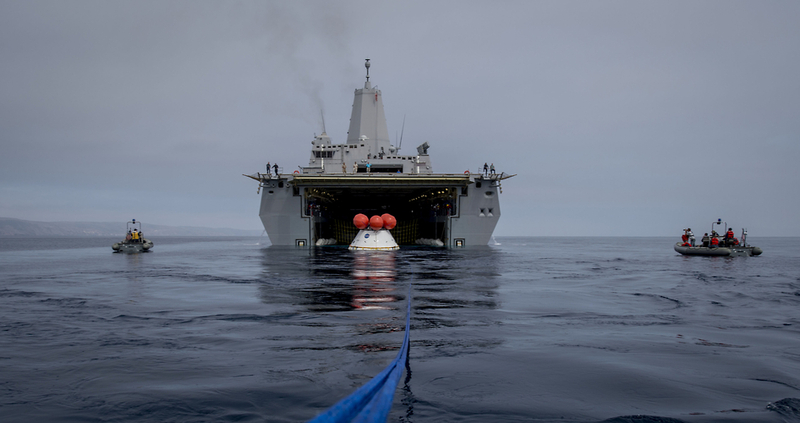 NASA used a San Diego-based amphibious warship over the weekend to successfully test recovery of the new Orion manned spaceship prior to it’s first flight later this year. Orion is the exploration spacecraft designed to carry astronauts to destinations not yet explored by humans, including an asteroid and Mars. NASA and the Navy released photos of the test on Monday. 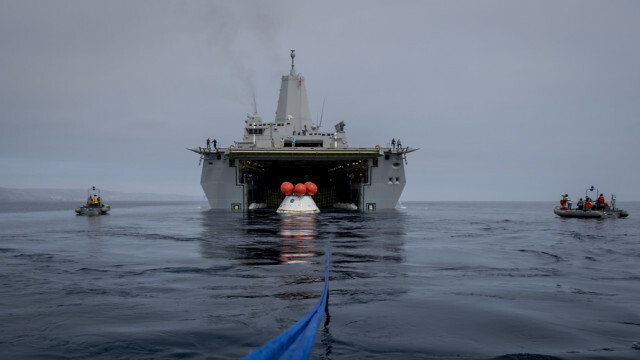 The Orion test vehicle was flown to Naval Base San Diego, loaded into the well deck of the USS Anchorage, and taken off the coast of San Diego for the test. 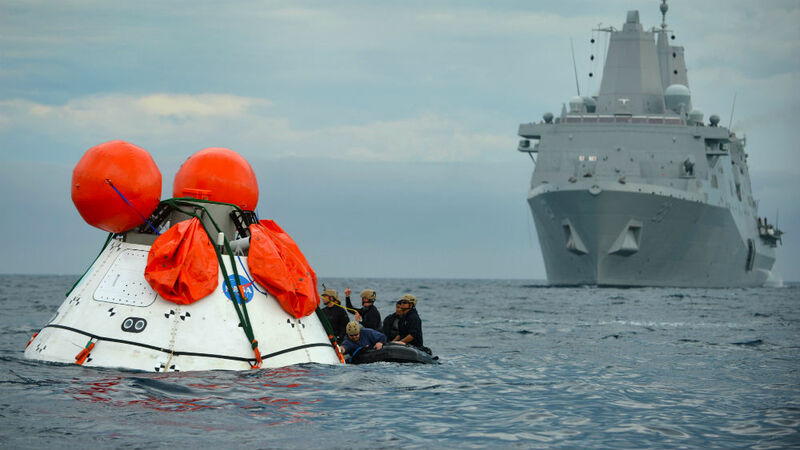 During that first recovery trial in February, rough sea conditions forced NASA to end the test early. Since then, NASA has modified procedures and equipment to safely recover Orion in such conditions. The first test flight will use a Delta IV Heavy rocket to send an unmanned Orion to an altitude of 3,600 miles, then back into the atmosphere at a speed of more than 20,000 miles per hour, simulating re-entry from a trip beyond the moon.